The garden has produced a LOT of jalapeños this summer so they are making their way into just about everything I make lately. 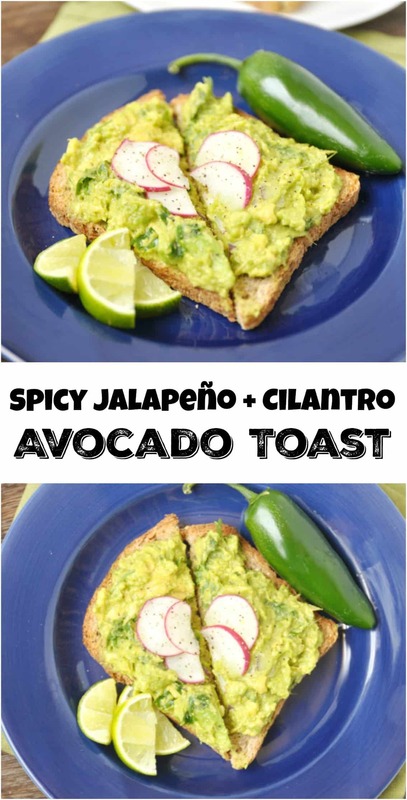 This Spicy Jalapeño + Cilantro Avocado Toast has become my go-to quick and easy meal. 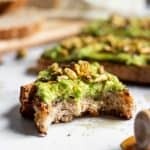 Think guacamole meets avocado toast. Can you imagine anything better? Jalapeños are more than just an add-in to give your recipes an extra kick. They are also quite good for your health! Do you struggle with migraines? The chemical that gives these peppers their heat is known to help provide migraine relief. Sound too good to be true? 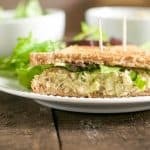 Start adding these to your diet and see if it works. Allergies? Congestion? Jalapeños are a great defense here as well and help boost your immunities. They help with cancer prevention and to fight inflammation. Like I said, they are more than just tiny little pops of heat! 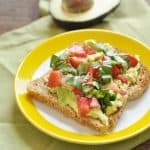 I could eat avocado toast daily and it would never get old. The possibilities are endless and there are so many different combinations that you can create. I love adding an egg to the mix when I am eating it for breakfast. This recipe includes thin sliced radishes to add even more nutrition! Enjoy! Place bread into toaster and toast as desired. In a small bowl, combine avocado, jalapeño, onion, lime juice, garlic powder, cilantro, sea salt and pepper. Mash and mix well to combine. 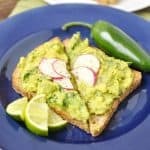 Once toast is ready, spread mixture over each slice and garnish with radish slices as desired.